Chang’e 4 continues to carry out its scientific program. Last week, the biosphere experiment of the space probe ended. It had started a few hours after landing in a small 2.6 kg metal container. Inside, six living species have tried to survive in this unknown environment. Seeds of potatoes, flies and yeasts did not survive the lunar night that started on January 13th without heating or thermal protections. These explorers face temperatures down to -180 degrees Celsius. The experiment lasted 212 hours. It has been compared to a similar device on Earth. Unsurprisingly, the species left on Earth grew better than those sent to the crater Von Kármán. Before the lunar night ended the experiment, the researchers were able to observe the hatching of cottonseeds. This is the first time a plant grows on another world. The species were chosen because of their potential. To accompany a human presence on the Moon, potatoes are a rich source of food and easy to produce. Yeast can help regulate carbon dioxide levels. Flies played the role of humans in this mini-ecosystem. This experience once again demonstrates the harsh conditions prevailing on the moon. To hope one day to live there, it is necessary to continue the exploration and this kind of tests. Chang’e 4 continues its mission. While Chang’e 4 continues to send photos and videos shot on the Moon, CNSA is already preparing the next steps of its lunar program. Chang’e 5 will be a very ambitious mission with lunar samples collection and return. Chang’e 5 should take off at the end of 2019. We already know that China wants to take humans to the Moon. But we did not have much information on the next steps of the Chang’e program. 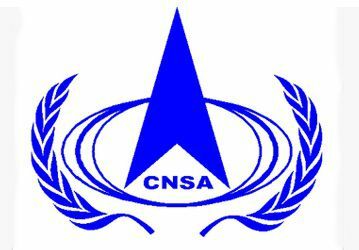 At a press conference on January 14, CNSA officials spoke about the future missions of the Chinese lunar program. The Chang’e 6, Chang’e 7 and Chang’e 8 missions should be a big part of the Chinese lunar program over the next decade. Chang’e 6 has been thought as a twin mission of Chang’e 5, that is, lunar samples collection and return. It will target the South Pole of the Moon and could take off around 2023. The Chang’e 7 mission will also target the south pole of the Moon. We do not yet have precise details on the spacecraft, but we know that it will focus in particular on the terrain, the composition and the environment of the South Pole of the Moon. The South Pole of the Moon is of particular interest to CNSA because this region is considered the most suitable for installing an inhabited base. Some craters in the area are never exposed to sunlight. Last year, an analysis of data from the Indian Chandrayaan-1 space probe showed that these craters are home to water ice reserves. Conversely, some of the highest reliefs in the region are almost always exposed to daylight. These are called peaks of eternal light. It is the ideal place to install solar panels of an inhabited base. In addition to this, scientific goals are numerous at the South Pole of the Moon. Some of its craters could house some of the oldest materials in the solar system. The South Pole does not interest only China. The Indian probe Chandrayaan-2 should attempt to land there in April 2019. The content of the Chang’e 8 mission is still unclear. We know that this mission should test new technologies related to human exploration, such as the 3D printing of structures from lunar regolith and the exploitation of local resources. This mission will also have scientific aims that could be defined in collaboration with European, Russian and even American space agencies. We therefore know more or less well the aims of the next four Chinese lunar missions. China continues to implement its plan which is gradually gaining ambition. But for the moment, there is still no information of manned flight to the Moon. It will probably take a few years before we know more about it. At best, such a mission will not take place until the end of the next decade. On the night of January 2 to 3, 2019, China has achieved the historic feat of placing a payload on the far side of the Moon. The rover Yutu 2 is already doing its first meters on the lunar regolith. Chang’e 4 landed in the Von Kármán crater located in the South Pole-Aitken Basin basin, one of the oldest impact craters in the entire solar system. With Chang’e 4, China shows that it is now able to achieve objectives that neither the Americans nor the Russians nor the Europeans have reached so far. No mission had landed on this side of the Moon until now because it is a risky maneuver. NASA had considered doing so for the Apollo 17 mission, but had finally found the danger too great to risk lives. First of all, communicating with the robot is a real challenge. To correspond with the Earth, the Chinese mission has a relay satellite located in orbit around the L2 Lagrange point of the Earth-Moon system. This satellite was specially launched for the Chang’e 4 mission. 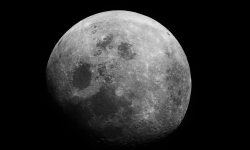 In addition, the far side of the Moon is more rugged than its visible face. The flight systems of Chang’e 4 had to be improved compared to those of previous Chinese lunar missions. Finally, the descent phase was much more vertical than the Chang’e 3 one. Chang’e 4 is not only a national prestige mission for China. The lander and the rover of the mission have a mass of 1.2 tons, which allows them to embark a rather large scientific payload. The cameras, spectrometer, radar and radiation detector will be able to improve our knowledge of this very ancient region of the Moon. The radio astronomy experiment embarked on by the mission also promises to show the potential of this technique to be protected from the radio pollution of the Earth. The last Chinese lunar mission, Chang’e 3, took place in 2013. It will take much less time before the launch of the next mission. Chang’e 5, an even more ambitious mission, is due to take off this year. The Chinese Space Agency (CNSA) has successfully launched the Chang’e 4 mission to the Moon. The new lander and its rover must be in lunar orbit today. They will then try to land on the far side of the Moon, which will be a world first. This lunar landing attempt is scheduled for early January 2019. Chang’e 4 is an improved version of Chang’e 3, which is the first Chinese probe to have landed on the moon. The lander and the rover embark many scientific experiments. They will make it possible to study the levels of radiation, the interactions between the solar wind and the lunar surface, or to do radio astronomy immune to terrestrial signals. A penetrating radar will study the geological layers and their compositions under the surface of the Moon. In a certain way, Chang’e 4 is also an inhabited mission because a small contener embeds potato seeds, plants and eggs of silkworms. The goal is to study how low gravity and radiation impact life forms. China is preparing to send the Cheng’e 4 mission to the South Pole of the Moon in December. NASA has only been interested again in the Moon since Donald Trump took office, but it has been a long time since China has this goal. This ambition should culminate with the launch of the Long March 9 launcher and the possibility of sending manned flights at the end of the next decade. For the moment, China is following its space program in a somewhat isolated way, but that does not mean that the country is not open to collaboration. During an IAC conference, an official from the China National Space Agency (CNSA) announced that 10 kg of the lunar mission Chang’e 6 will be reserved for international collaborations. In addition, the lunar telecommunications relay satellite that the country has just put into orbit may be used by other countries. For more than ten years, China has been conducting a moon exploration program called Chang’e. For the moment, this program has not been unsuccessful and has placed two orbiters, a lander and a rover on the surface of the Moon. The Chang’e program will continue at the end of the year with the Chang’e 4 mission, which is expected to put a lander and a new rover in the Von Kármán Crater on the far side of the Moon. From next year, China will try the first return of lunar samples for more than 40 years with the mission Chang’e 5. This sequence of missions consisting of orbiters, landers and returns of samples has been planned since the early 2000s. The Chinese space agency is able to execute a long-term plan, spread over nearly 15 years. In the more distant future, China has the ambition to take its taikonauts on the moon with its giant rocket Long March 9, which development is expected to end around 2030. In other words, for the Chinese it could be to spend more than a decade between the last robotic mission and the first human mission to the Moon. This is why China is thinking about adding new missions to its Chang’e program for the 2020s. It would be exploring the south pole of the Moon, and China would like to do it in collaboration with Europe. China is now quite familiar with the lunar missions, it would also be an opportunity to lead more ambitious projects. At a conference in the United States of America in March, Chinese officials gave an overview of what the second phase of their lunar program might look like. It has been in preparation for three years and discussions with the European Space Agency are already under way. Its main objective would be to establish a robotic lunar station on the south pole of the Moon. The lunar station would be used to do research but also to prepare the arrival of the man. The south pole of the Moon could harbor ice of water in craters that are never exposed to the sun. This resource would make any man’s installation project much simpler. Part of the mission would be to make sure of it with a rover. The robots present on the lunar station could do a demonstration of 3D printing with lunar regolith, which could be a solution to build some of the infrastructure necessary for the human presence with local materials. In the same spirit, gas extraction experiments from the lunar regolith will be conducted. Europe would have the opportunity to give some consistency to its space-based project called Moon Village. Even if it is only robots, a first collaboration with China would allow Europe to build a bond of trust and the necessary protocols to consider seeing bigger. This collaboration could become a reality very quickly because the European Space Agency offered its help in the analysis of the samples of the Chang’e 5 mission. The continuation of the Chang’e program also depends on the success of the Chang ‘e 5 mission. The lunar station program will be considered provided that the sample return mission is going well. The Moon became the center of attention in 2017 when the Trump administration decided to make it a priority of the US space program. But it is not only in the United States of America that the Moon is a target. In recent years, China has also been heavily involved in lunar exploration. Beijing even hopes to one day launch missions inhabited on the Moon. Before to get there, they have to train with robotic missions. China has done a lot of work on this side with the Chang’e missions. The Chinese lunar exploration program Chang’e has already sent two orbiters and a rover to the moon. These missions have all been successful. From June 2018, a fourth mission will send another rover to the hidden side of the Moon. It will be accompanied by an orbiter that will be placed at the L2 Lagrange point of the Earth-Moon system. Chang’e should therefore become the most ambitious Chinese lunar mission yet. In addition to scientific instruments that will allow it to study the surface of the Moon, the rover will embark a small aluminum cylinder containing seeds and insects. Specifically, the container will contain potatoes, seeds of the plant Arabidopsis, and eggs of silkworms. The goal of the experiment is to set up a simple ecosystem on the surface of the Moon. Seeds and potatoes will emit oxygen through photosynthesis, while silkworms will produce carbon dioxide. The different inhabitants of the cylinder should therefore be able to survive for a while. It will also be an opportunity to observe the behavior of these species in an environment where gravity is low. Many experiments on living things have already been conducted in microgravity in space stations, but the Moon with its gravity equal to 16% of that of the Earth represents a new environment. The rover will have to cover a region of the Moon that has not yet been visited by any human object. This is the South Pole-Aitken basin, which is the largest impact basin on the Moon. It is also one of the largest basins in the solar system. It is the result of a cataclysmic impact on the surface of the Moon. It is 2500 km in diameter and 13 km deep. It is so huge that we no longer speak of an impact crater but of an impact basin. It is also of particular interest to the scientific community. India’s Chandrayaan-1 spacecraft and then NASA’s Lunar Reconnaissance Orbiter have confirmed that this region could harbor vast amounts of icy water, so much so that the South Pole-Aitken basin is considered one of the best possible locations for a lunar base. The fact that the Chinese have chosen this region to carry out their exploration program is logical because the south lunar pole is a place where peaks of eternal light occur. These are geographical points where sunlight shines almost continuously. This represents a great interest for colonization. By installing solar panels, we ensure a stable and sustainable energy supply for a lunar base. Chang’e will take off this year in two parts. First the relay satellite in June, then the lander carrying the rover at the end of the year.